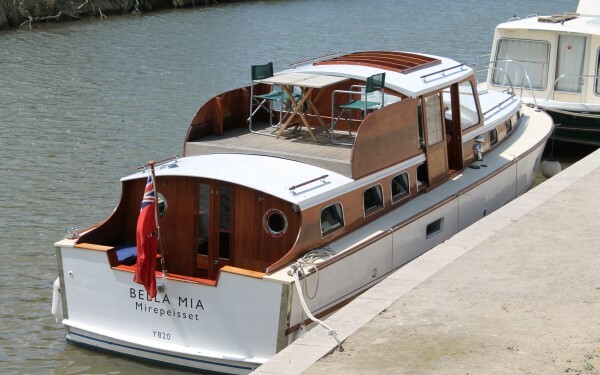 Our boat has been a member of the family for 20 years. 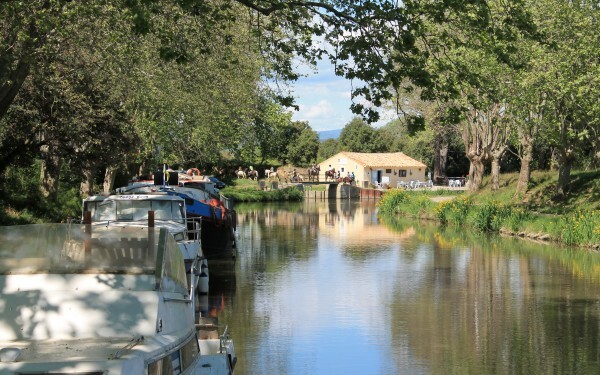 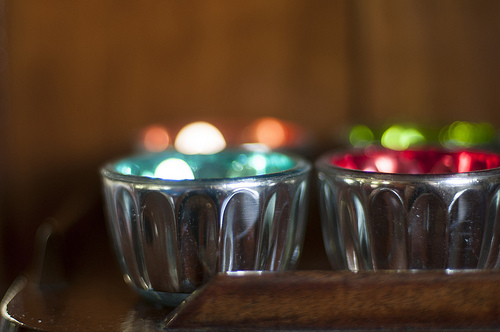 It is situated on a beautiful stretch of the Canal du Midi near La Somail. 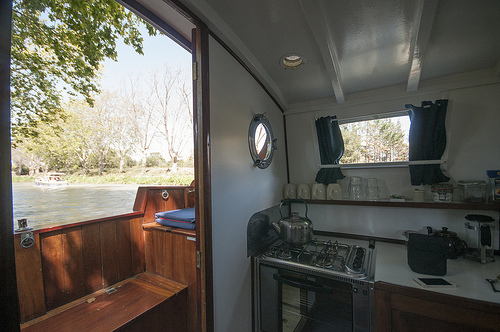 The boat is offered as a self-catering residence moored to the bank. 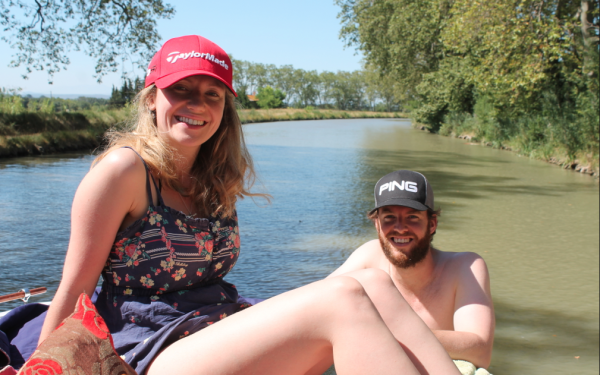 The river Cesse for swimming, a fabulous tapas bar and the village of La Somail are all within easy walking distance of the boat. 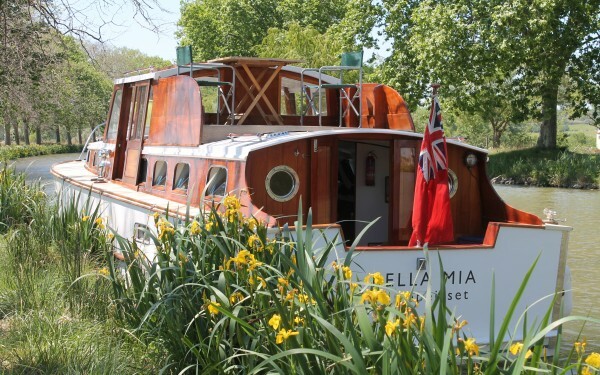 We also offer a combination of staying at our B&B with a boat trip with stay overs if required. 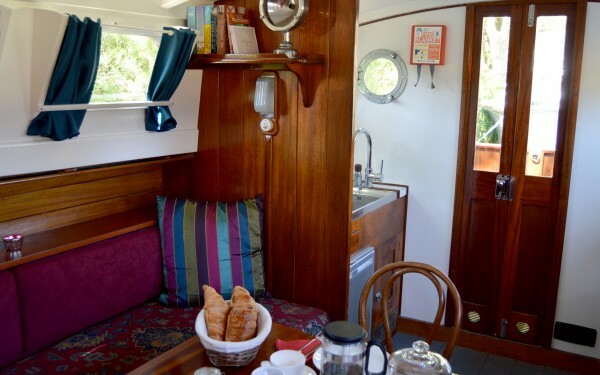 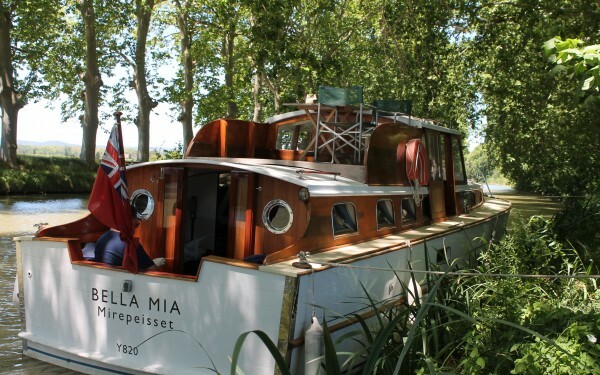 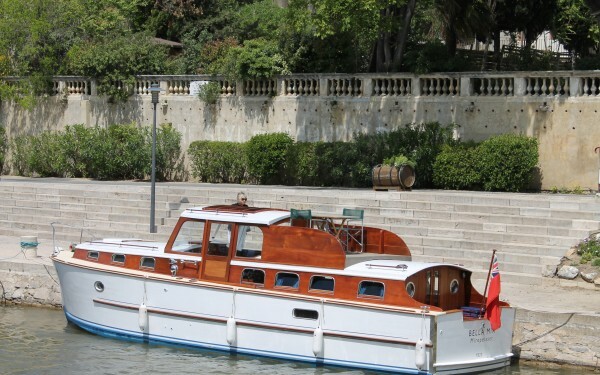 From April through to the end of October we also provide canal du midi cruises for our guests staying at La Souqueto B&B. 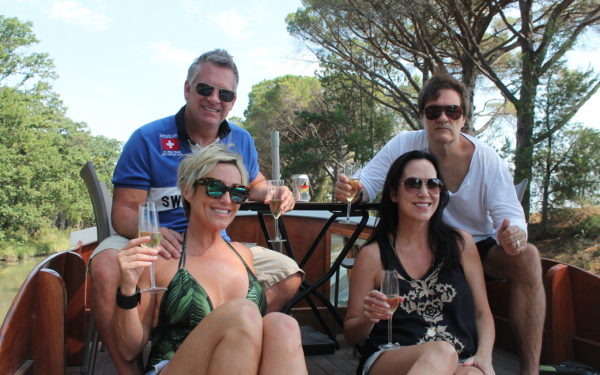 It’s a great way to celebrate a birthday or anniversary. 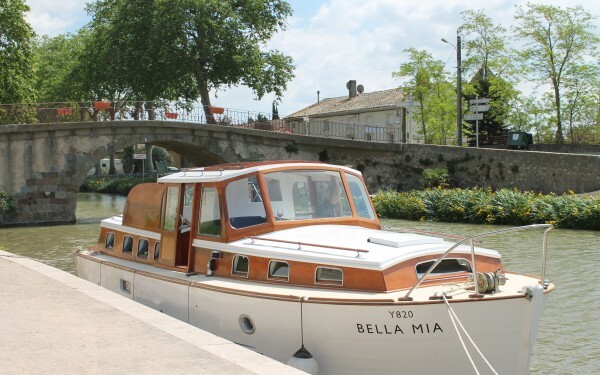 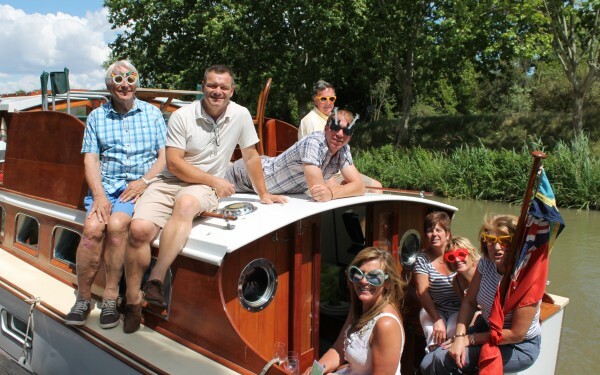 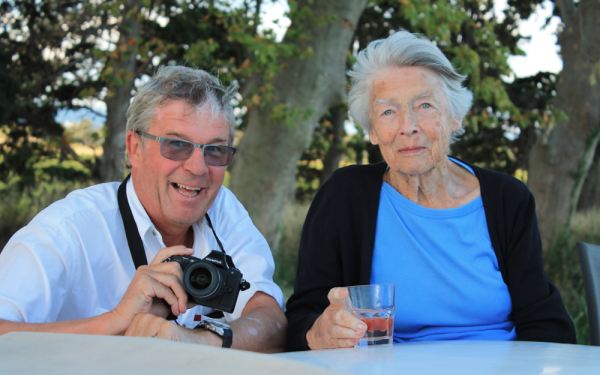 We even run taxi tours to restaurants along the Canal du Midi. 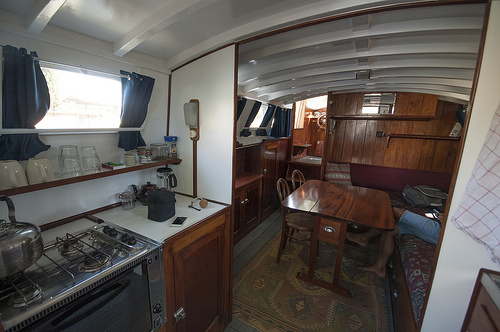 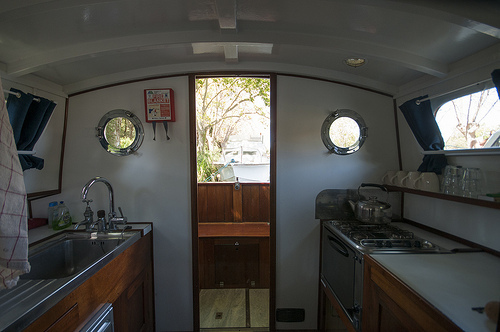 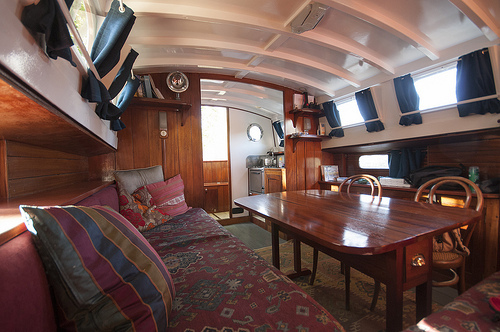 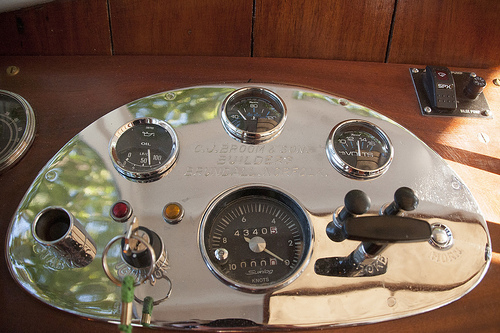 The interior is principally varnished mahogany and made up of three areas, the stateroom (lounge) at the rear with two long bench seats and a fully operational Galley (kitchen) with gas stove, fridge, preparation area and sink. 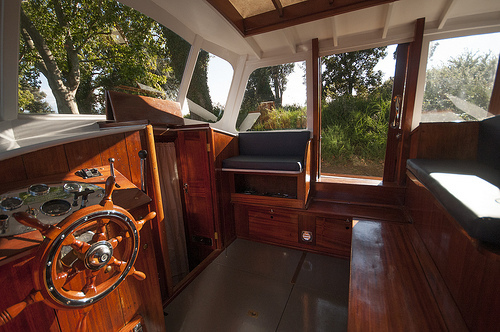 This area leads out through double doors onto a lovely sitting out area that we call the aft well. 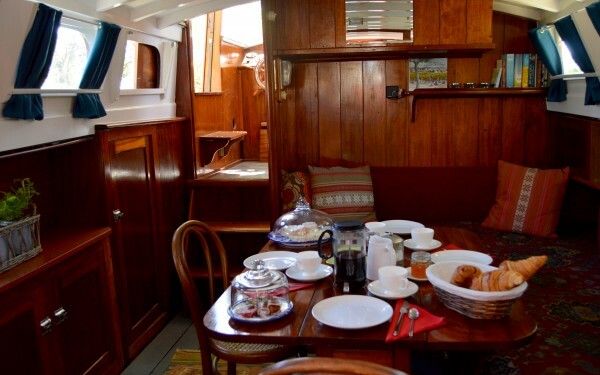 Second area is the wheelhouse where there are two comfortable bench seats to sit and read a book or watch the canal life pass by. 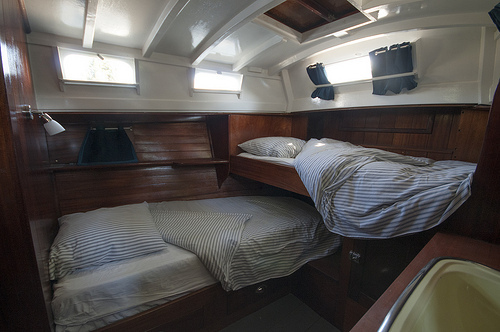 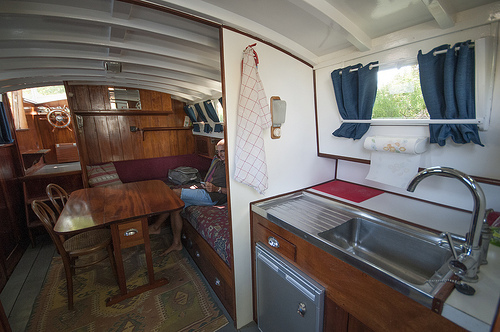 The third is the forward cabins made up of a separate shower room and toilet and bedroom with two berths.